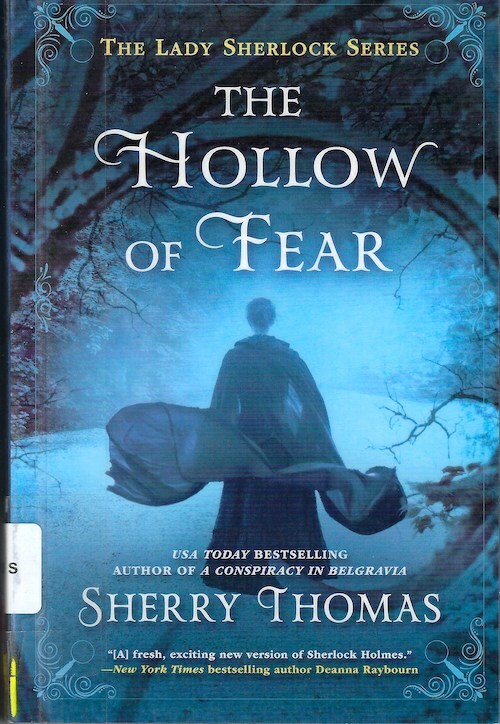 Of the three Lady Sherlock books I’ve read, The Hollow of Fear is the best. You get the characters, you get what seems to be romantical progress but might not actually be, and most importantly, the mystery that’s being solved has been significantly simplified. The earlier books seemed to delight in making the problem to be solved as complex as possible so the reader didn’t figure it out ahead of time. This book still has timeline trickery for maximum confusion, but at least you’re not figuring out how three different mysteries fit together. So that’s a win.